On the back side is a non-slip blue rubber gripper material that locks the ruler down. Easy to pick up, built in handle. 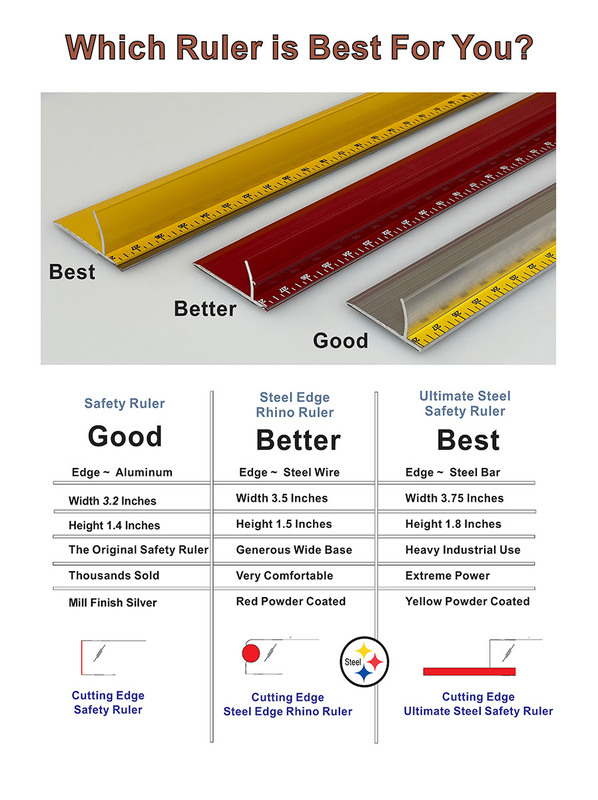 A razor knife can slip over a flat ruler and give you a nasty cut.The Safety Ruler has a curved aluminum guard that prevents the razor from accidentally slicing your fingers. Solid aluminum body sports an extra thick cutting face. Hefty tool. The extra wide 2.6 inch ruler gives you a generous 2 inch comfort grip and your hand fits sweet inside the gently curved finger guard. Custom Sizes Up to 100"